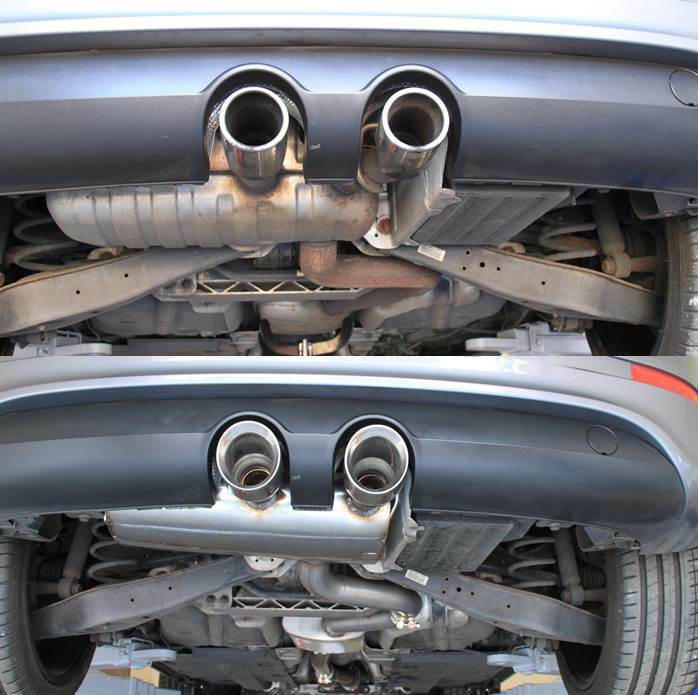 The VW Golf R32 is the hot hatch of the VW Golf range, with a gusty 3.2 v6 VW Engine and 4 wheel drive straight out of the box, the VW Golf R32 is a really good drive due to a brilliant chassis, with plenty of potential for just a little more VW Golf R32 Tuning. 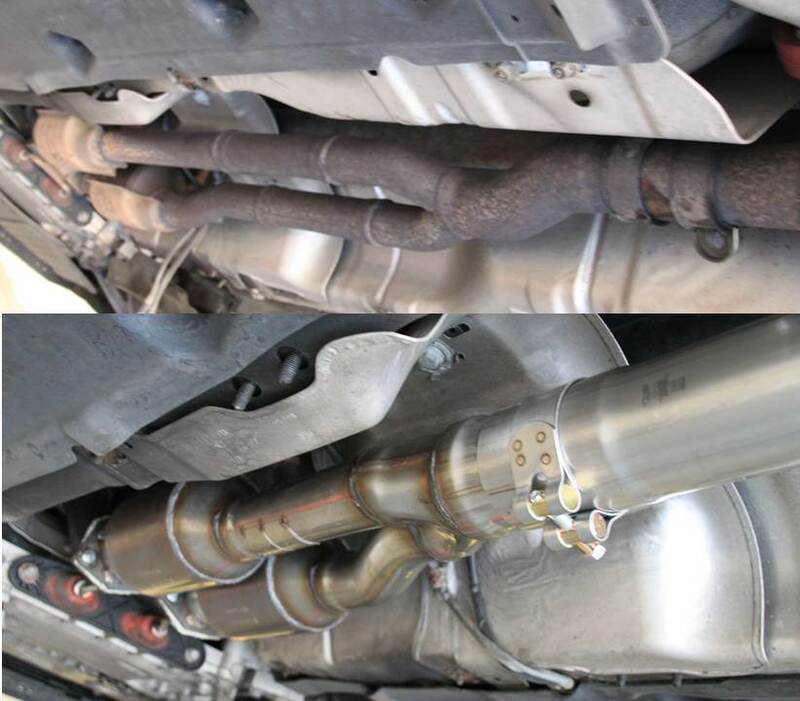 Full Exhaust Golf R32 and Manifolds The owner of this lovely VW Golf R32 came to us originally for a full VW Golf R32 Milltek exhaust with a set of sports catalysts. 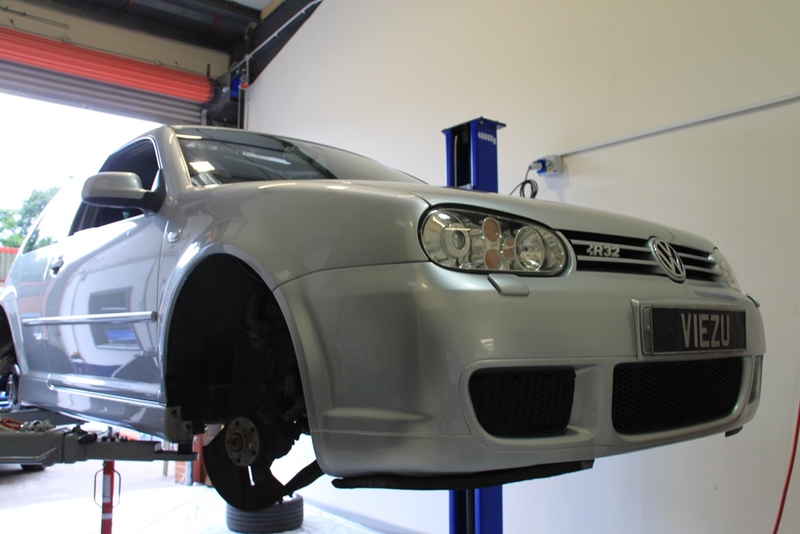 Along with this the owner was looking for something to improve the all-round performance of their lovely VW Golf R32, therefore we focused on 3 main areas, braking, handling and power. 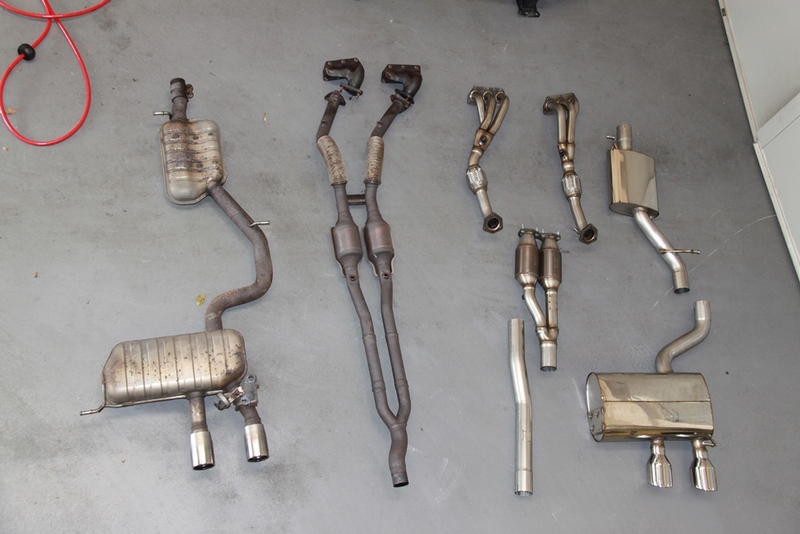 The power side was dealt with by means of a VW Golf R32 Milltek exhaust system with sports cats (stylistic convertors) and manifolds. 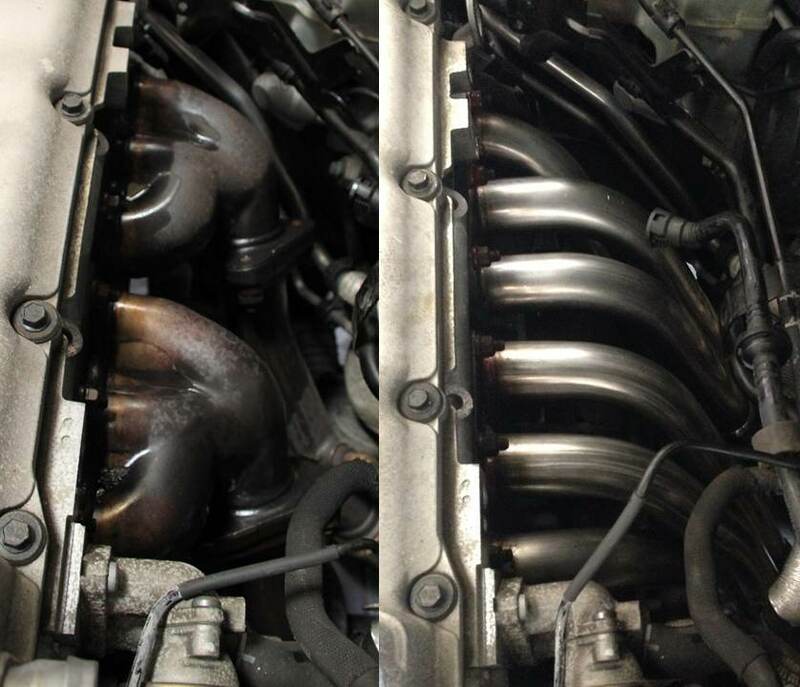 Typically on VW Golf R32?s due to the amount of work to change the manifolds they are usually left as standard, however this car the owner was not cutting any corners and the VW Golf R32 exhaust was quickly fitted, completely transforming the sound the VW Golf R32 and the way it revs!